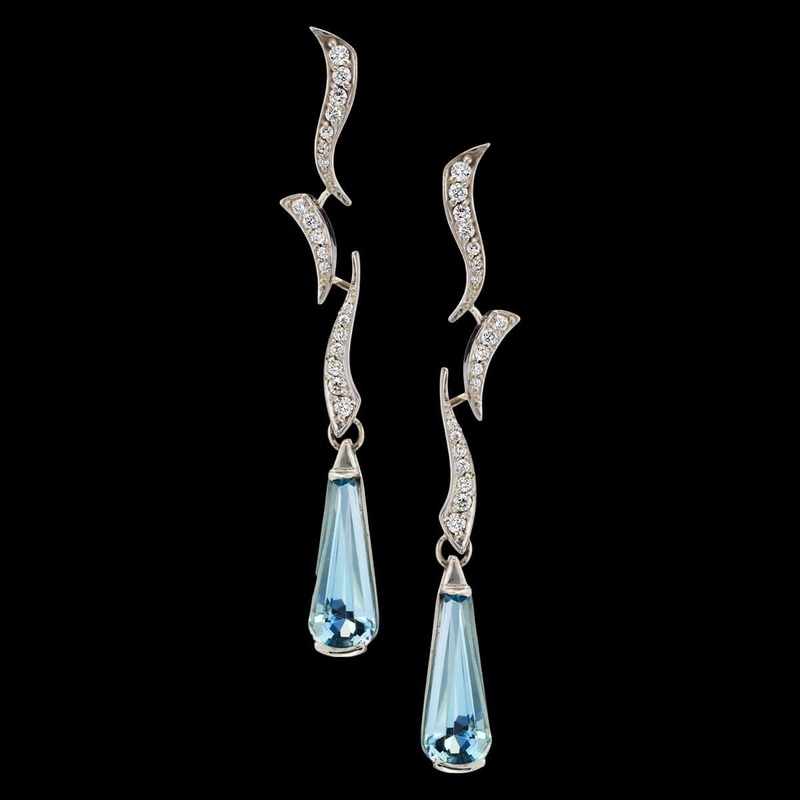 Cascade aquamarine earrings capture the beauty and purity of water. This unique earring design features two stunning aquamarines set in white gold. To purchase, call us at (949) 715-0953 or use our contact form below.